We just got our very first glimpse at iOS 12 during Apple’s big keynote at WWDC. The new update, which will be available for free this fall, includes ARKit 2.0 with new experiences and support for multiplayer games, grouped notifications, group FaceTime calls, and new apps. iOS 12 also promises huge performance improvements across all compatible devices — especially older models that have struggled with previous releases. Apple is “doubling-down on performance” this year, it says. iOS 12 finally addresses growing complaints from users with older iPhones and iPads, who have suffered significant slowdowns with the release of recent iOS updates. With iOS 12 an iPhone 6 Plus, for instance, apps load up to 40 percent faster, the keyboard opens up to 50 percent faster, and the Camera app launches up to 70 percent faster. What if you have a newer iOS device that’s fast enough? Well, there are plenty of new features to look forward to as well. iOS 12 introduces ARKit 2.0, with improved facial tracking, more realistic rendering, and 3D object detection. 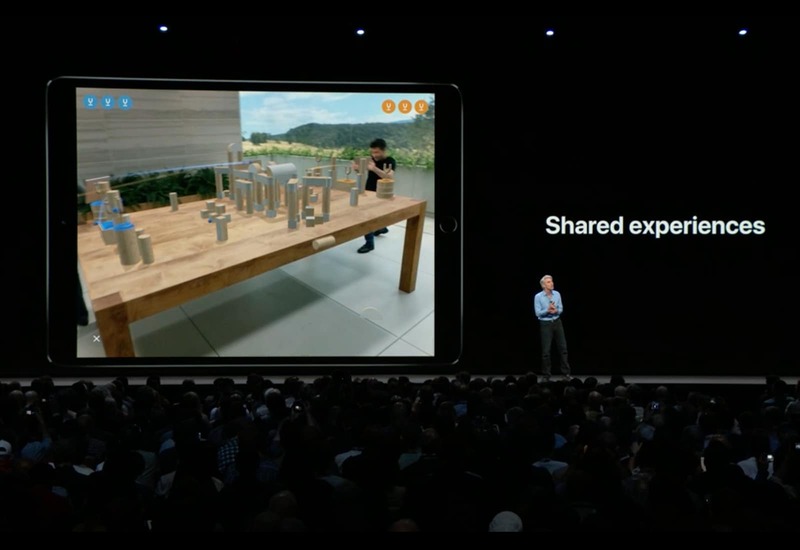 It also brings support for shared AR experiences, which gives us the ability to enjoy multiplayer AR games with other people in the same space. ARKit 2.0 also brings a new AR file format called USDZ. It was created to be a more compelling system for 3D content delivery, and it’s supported throughout iOS. Developers and content creators can use USDZ to embed AR content in Apple News stories, on websites, and more. USDZ files can also be shared, and created and edited inside compatible iOS apps. Apple is working with third-party developers, including the likes of Adobe, to add USDZ support. Apple’s new Measure app is baked into iOS 12.
iOS 12 also includes Apple’s new Measure app. It takes advantage of ARKit to let you measure objects, shapes, and lines using the camera on your iOS device. 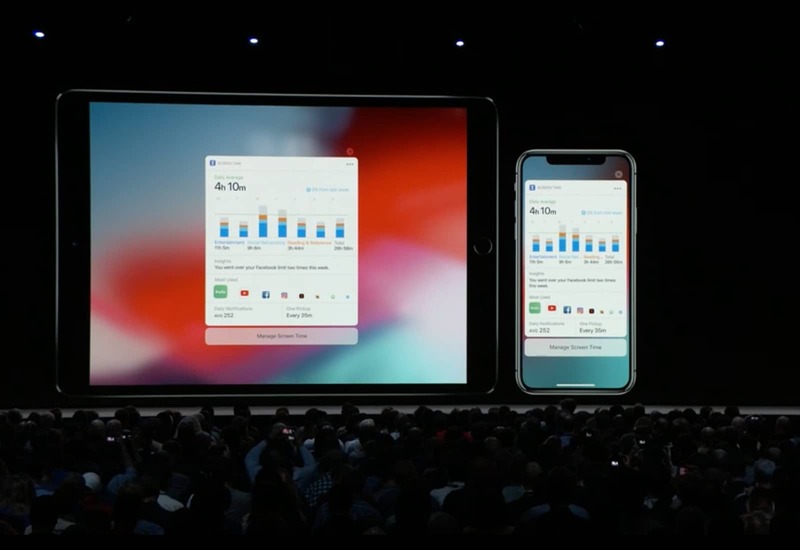 Similar apps are already available inside the App Store, but with iOS 12, Measure is baked right in. There are lots of improvements to existing apps in iOS 12, too. The new Stocks app has Apple News built-in. Stocks has been completely rebuilt to provide more detailed information, including after-hours pricing, while Apple News integration offers curated business stories. 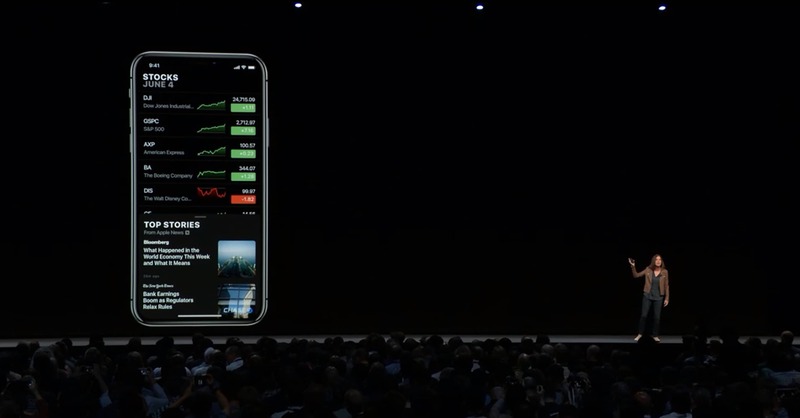 Stocks will also be available on iPad with iOS 12, alongside the new Voice Memos app. 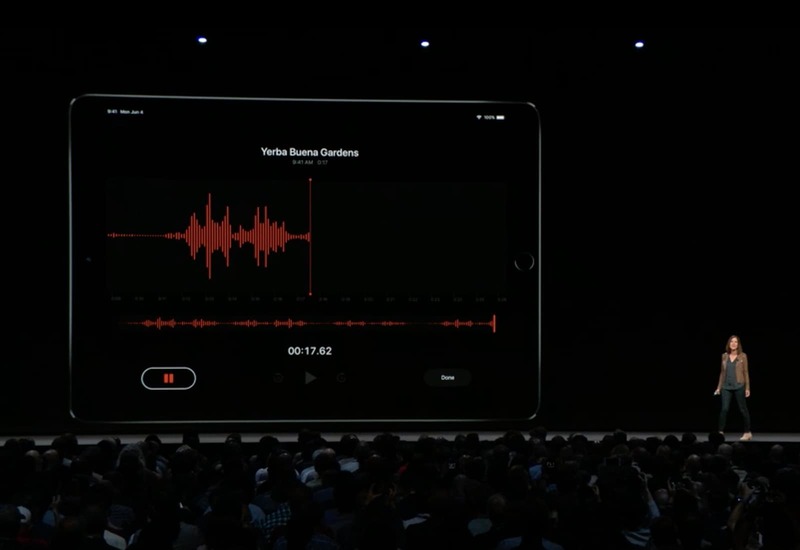 Voice Memos is coming to iPad. Voice Memos has also been rebuilt to make it easier to use, and it now boasts iCloud syncing, so your memos will be available across iPhone and iPad no matter where you recorded them. Photos is better than ever in iOS 12. Photos in iOS 12 steals some of the best features from Google Photos. 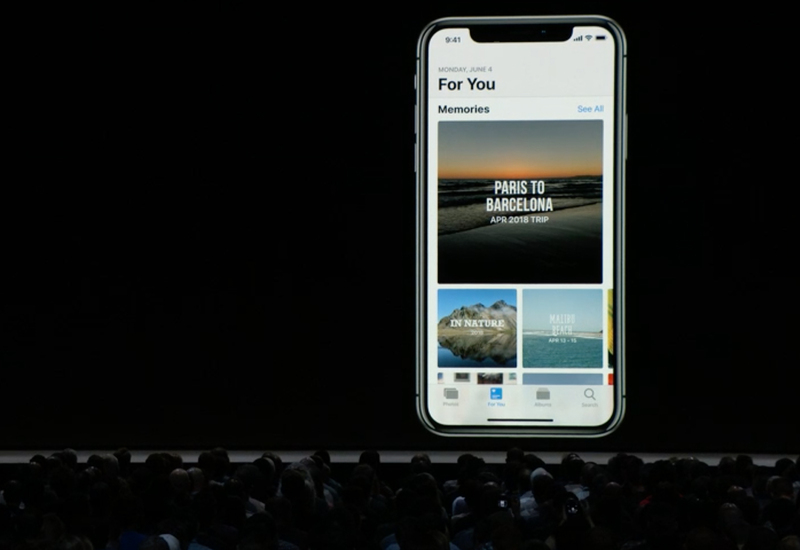 It boasts search suggestions and a new “For You” tab that includes memories, featured photos, and even suggested effects. It also suggests who you might like to share your images with. 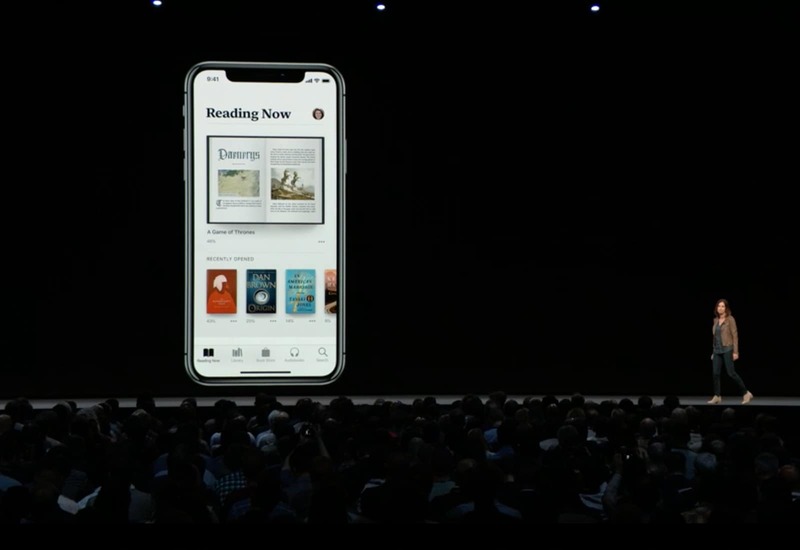 iBooks becomes Apple Books with iOS 12. Like Stocks and Memos, the app has been redesigned to make it easier and more enjoyable to use. There’s also a brand new store and a new “Reading Now” section that shows you a preview of the book you were reading most recently. Apple News is getting a helpful sidebar on iPad. 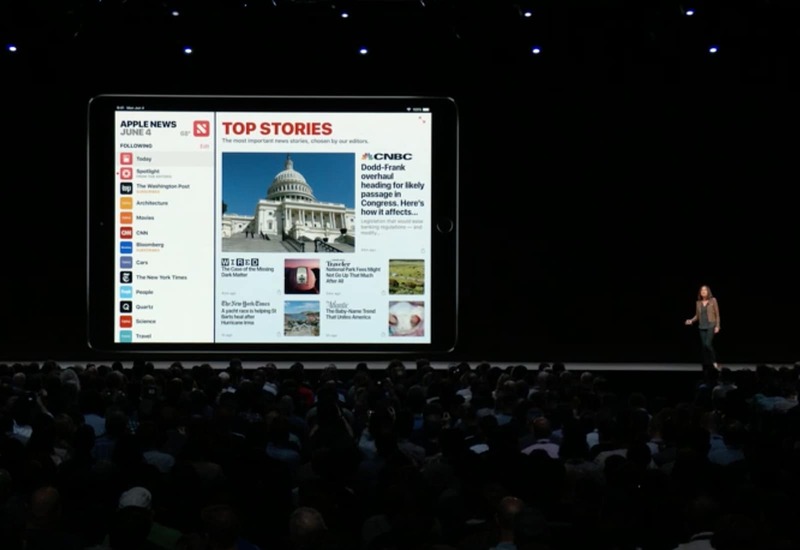 iOS 12 gives Apple News a new sidebar on iPad, which makes it easier to keep up with the day’s biggest stories and big deeper into the categories you’re most interested in. Apple didn’t promise that Siri would become more reliable with iOS 12, but it will be able to do more. 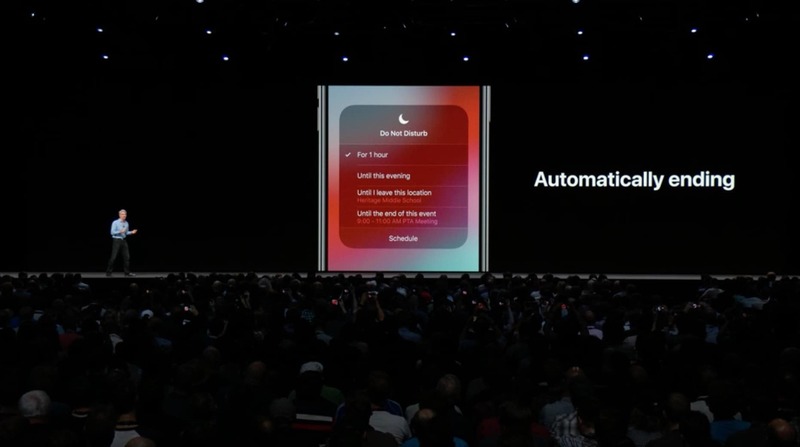 With Shortcuts, Siri can perform all kinds of actions when you say simple commands. Siri Shortcuts take care of everything. For instance, if you tell Siri “I lost my keys,” Siri can use the Tile app to locate them automatically. 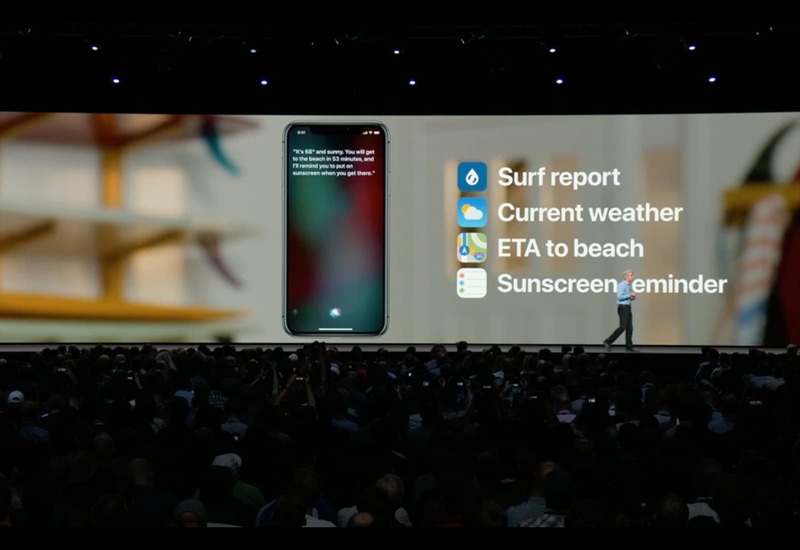 If you tell Siri you want to go surfing, it’ll fetch the surf report, the weather forecast, driving directions to the beach, and more — all from one command. What’s more, Apple is giving us the ability to create our own Siri Shortcuts. You can teach Siri to carry out a bunch of different actions that are triggered by custom commands. It’s a lot like Apple’s Workflow app on iOS, except you use your voice instead of buttons. Who says Apple can’t play nicely with third-parties? 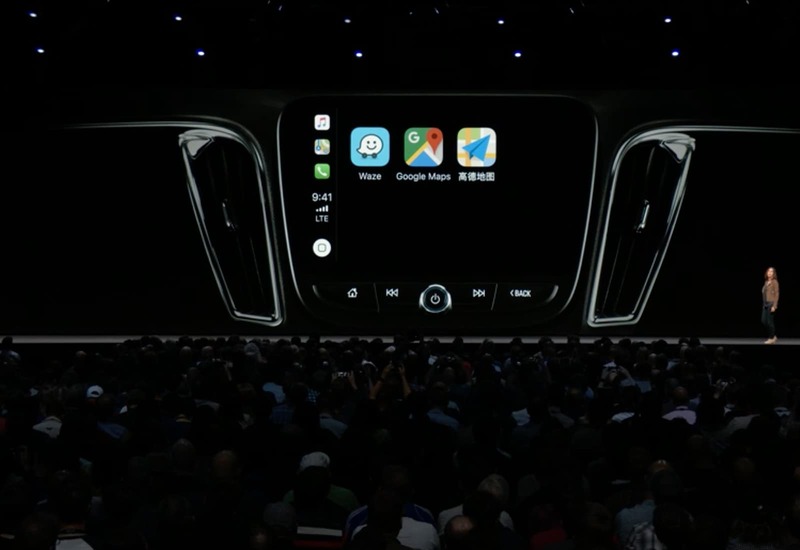 No, we can’t choose our own default apps in iOS 12, but we can choose to use third-party navigation services — including Google Maps and Waze — inside CarPlay. Do Not Disturb does more in iOS 12. Do Not Disturb was a wonderful addition to iOS, and with iOS 12, it’s even better. The new Bedtime mode hides notifications so that they can’t distract you if you wake up and check the time in the middle of the night. They’ll return to the lock screen in the morning, when Do Not Disturb is deactivated, so that you can worry about them then. Apple is also giving us the ability to choose when Do Not Disturb ends. You can set it to work for an hour, until the evening, until you arrive at a certain location, or until the end of an event in your Calendar. Apple has finally heard our complaints about notifications. iOS 12 brings support for grouped notifications just like on Android, making Notification Center a much simpler place, and brings support for instant tuning. With instant tuning, you can press a notification when it appears and then choose to sent it to Notification Center so that it doesn’t appear on the lock screen. You can also choose to silent notifications from certain apps so that you don’t have to dig around inside Settings. Apple really is trying to help fight iPhone addiction. With Screen Time in iOS 12, you can see exactly how much time you’re spending on your iPhone, and what you’re using that time for. It’ll tell you how often you use an app and how many hours you’ve spent inside it each day. Screen Time helps fight iPhone addiction. Screen Time also lets you specify how much time you can spend inside an app. If you’re wasting too much time in Facebook, you can give yourself a one-hour time limit each day, and Screen Time will tell you when you’re getting close to the end. When your limit is up, Screen Time will prevent you from seeing the app. You’ll have to choose to ignore your limit if you want to continue using it. And don’t think about picking up your iPad instead; Screen Time limits sync across all your iOS devices. Screen Time also lets you keep an eye on your kids’ activity and see how they’re using their apps. You can specify “allowances” for them, too, so they can’t spend too much time watching YouTube videos or playing Minecraft. You already have Animoji if you use an iPhone X, and iOS 12 brings more of them, including a ghost, a koala, a tiger, and a t-rex. 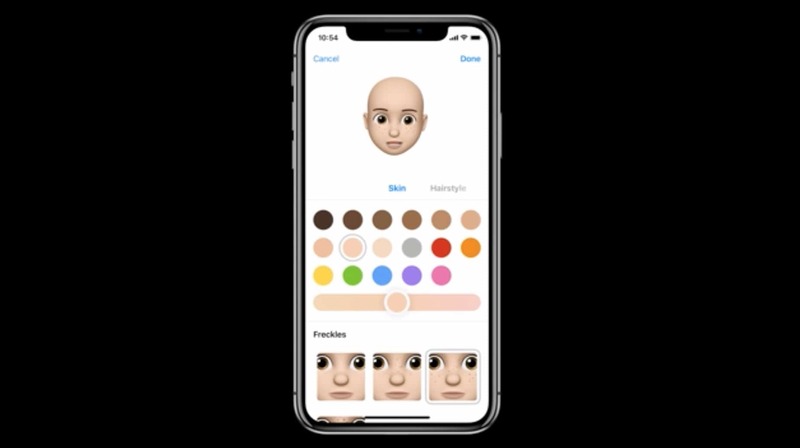 You will also be able to create new Animojis that look more like you with a new feature called Memoji. Memoji boasts a huge collection of customization options, so you can make a whole bunch of Animojis with different looks and styles. You’ll be able to choose skin tone, hair style and color, and add things like glasses and hats. Apple is also adding “fun effects” to the Messages camera app. You’ll be able to add text, shapes, filters, and stickers to your images before sending them. You will also be able to replace your real face with your Memoji if you’re not looking so fresh. 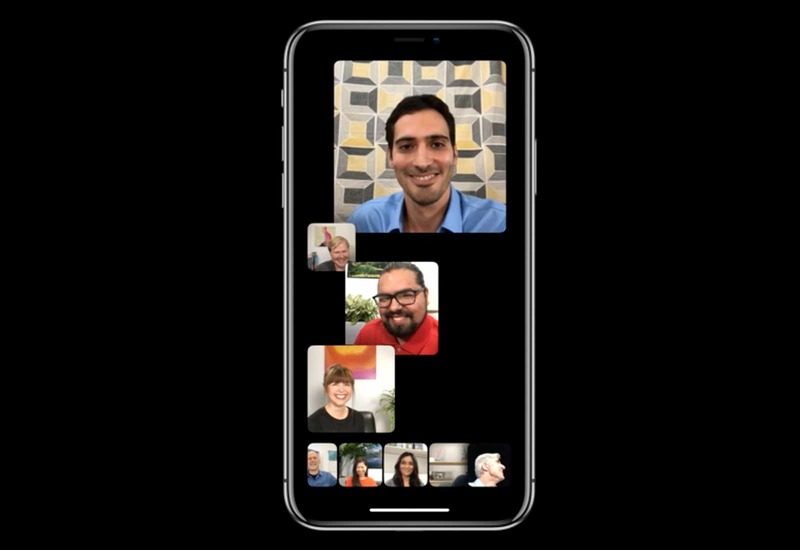 Yes, you read that correctly — FaceTime is finally getting group video calling in iOS 12, and it will support up to 32 people simultaneously. You’ll see everyone on screen at once, and you can tap on a person to take a closer view. And just like in Messages, you’ll be able to hide behind a Memoji when you’re on a call. iOS 12 will be free to download this fall. It will be compatible with all devices that were supported by iOS 11, and developers can get their hands on the very first beta today.